Sunway Medical Centre’s commitment to excellence is exemplified by our numerous quality initiatives. We monitor more than 200 quality indicators to measure our performance and to improve ourselves continuously for the betterment of our patients. We also benchmark ourselves against international standards in order to provide the highest level of care to our customers. Healthcare-associated infections are infections patients can get while receiving medical treatment in a healthcare facility. Our infection prevention and control team consists of experienced multidisciplinary professionals who work together under a dedicated and comprehensive programme to prevent the spread of infection. Your experience with us is our utmost priority. We value your opinion and feedback to us and are always delighted of your sharing of experience with us. This precious information is used to continuously improve our services and standard of care to ensure we always exceed your expectations. At Sunway Medical Centre, we strive to achieve quality of excellence. We are proud to be the first hospital in South-East Asia to be accredited by the Australian Council of Healthcare Standards (ACHS). Awarded based on compliance to the rigorous EQuip5 standards set by ACHS, it is a guarantee that a hospital meets the quality and safety standards of Australian hospitals. Currently, we are in the midst of embarking on another exercise with ACHS by adopting the latest and more stringent EQuip6 standards. It is part of our on-going efforts to be constantly on par with the latest international standards in healthcare quality. Without data, it is just opinion. In 2017, we were awarded full-accreditation status by the Malaysian Society of Quality Healthcare (MSQH), the leading organisation that advocates, promotes and support continuous quality improvements and safety in Malaysian healthcare. MSQH accreditation standards are based on standards established by the International Society for Quality in Health Care (ISQua), a world-renowned organisation in healthcare safety and quality. Sunway Medical Centre values evidence-based measures of healthcare quality. We track numerous quality indicators to monitor clinical performance and outcomes. As an ACHS-accredited hospital, we recently participated in the ACHS’s Clinical Indicator Programme. The ACHS Clinical Indicator Programme is a strategic benchmarking programme with 700 participating healthcare organisations from Australia and New Zealand. 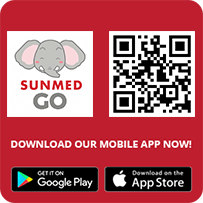 Internationally renowned and well established with on-going reviews, it is endorsed by over 40 Australasian healthcare colleges, societies and associations. World Health Organisation (WHO) estimates that globally, 1 in 10 hospitalised patients experience harm. “Safe Surgery Saves Lives” is an initiative by WHO to improve worldwide surgical safety. We take extra precautions to minimise the risk of complications and ensure the safety of our patients. 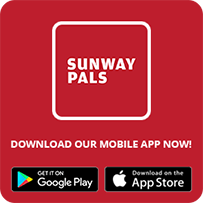 At Sunway Medical Centre, this mantra is carried out across the spectrum of our services – we take extra precautions to minimise the risk of complications and ensure the safety of our patients. An unplanned return to the operating room may be unavoidable in some cases due to patients’ condition. It may also denote that a complication arises as a result of the surgical procedure, or that the surgery was completed in a less than optimal manner. Therefore, unplanned return to the operating room is a good judgement of the quality of surgical procedures in a healthcare facility. 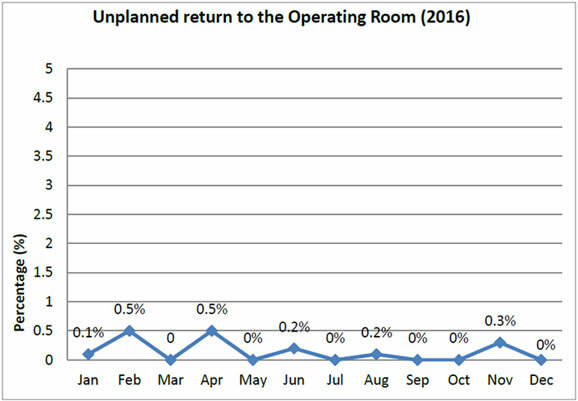 A hospital with a low rate of unplanned return indicates a low rate of post-surgical complications such as bleeding and infection, while also indicating the safety of its surgical services. Infection at the operation wound incision is a common risk of surgery as the skin barrier is breached during a procedure. 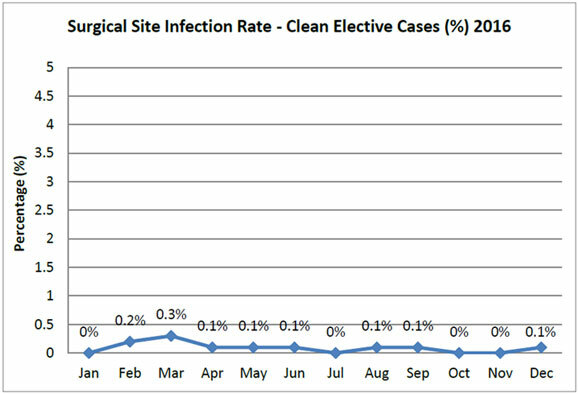 Surgical site infection is a good measure of the hygiene and cleanliness of a healthcare facility and the quality of its surgeons and clinical staff. Coronary heart disease is the top major cause of mortality and morbidity worldwide in the 21st century. The gold standard for diagnosing this condition is via coronary angiogram- a common minimally-invasive procedure done in hospitals. The quality of a diagnostic coronary angiogram performed can be measured by the rate of complications arising from the procedure- the lower the rate of complications (including death, acute myocardial infarction, and stroke), the higher the quality.